For all you crazy kids out there that have not tried nut butter yet shame on you!! Ha ha only kidding but seriously you are not really a health nut until you’ve lovingly produced your own nut butter and boy is it worth it! It’s not only cheaper to make yourself, it also tastes sooooo much better than the nut butter you would buy in a shop AND there won’t be any hidden nastie’s in it because you made it! (Look at you, you little legend!) The first time I made this I literally treated each jar as I would a new puppy. I was in love and so will you be! Not only are these little jars of heaven deliciously buttery and creamy but are actually good for you! 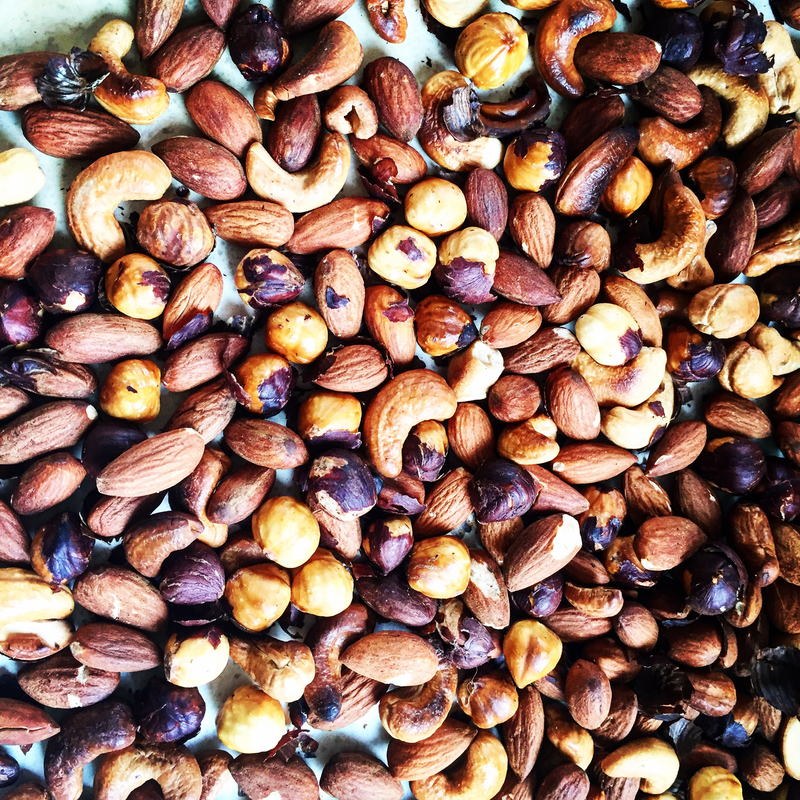 Nuts are bursting with vitamin E which is so good for your skin, hair & nails! (Forget the hair & nail vitamins and get into some nuts!!) And yes it is high in fat but it’s high in good fats and wayyyy better than eating regular butter so come on, lets go nuts! Makes 1 jar or 2 small super cute ones! First rule of fight club……. Preheat the oven to 180 degrees Celsius. You ready? Ok, ON YOUR MARKS, GET SET, GO! Press the go faster button (High Speed) and leave to blend until the nuts look like a paste (approx. 3 mins). Now here is the secret to nut butter…. When it looks like it’s done …… it’s not! Give it an extra minute and I promise you it will be worth it! And BAAMMM!! There you have it! 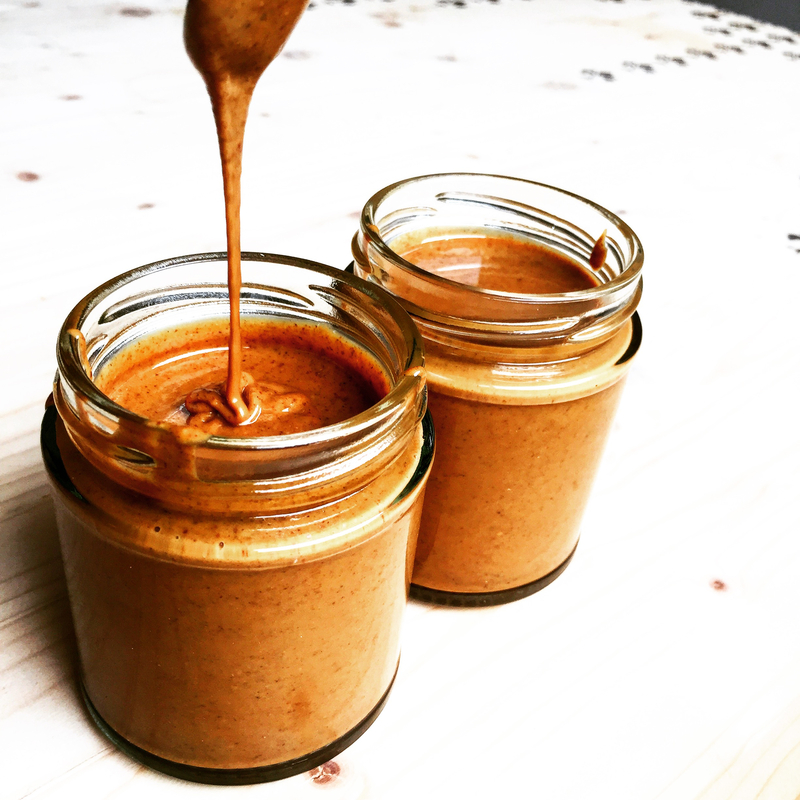 You have just created your first nut butter and in that fancy style of yours, you have created not a simple almond butter or cashew butter oh no you have created a triple nut butter! keep it at room temperature in a glass jar for up to three months. Now go nuts you little Nutter and enjoy on whatever spreadable, dunkable object you can find! Wow!!! You had me at triple! This looks so creamy and rich. I think I’ll use it as a spread and to dunk, lol.